President Trump’s nominee to lead the CIA, Deputy Director Gina Haspel, almost withdrew herself from consideration for the job over concerns that she would face a difficult confirmation process thanks to her role in the George W. Bush administration’s torture regime. The Washington Post reports Haspel told the White House she wanted to step aside if her Senate confirmation hearing on Wednesday was going to damage her or the CIA’s reputation, triggering a panicked effort by White House officials to get her to change her mind. In 2002, al-Qaeda suspect Abd al-Rahim al-Nashiri was subjected to torture by waterboarding at a CIA black site Haspel oversaw in Indonesia. She also had a hand in issuing an order to shred 92 videotapes of CIA interrogations, destroying evidence of war crimes committed by the U.S. government, though a special prosecutor who looked into the matter ultimately filed no charges against anyone involved. Senior Trump administration officials, concerned that Haspel’s nomination would be blocked, suddenly summoned her to the White House to question her about her participation in the CIA’s torture program. She then indicated that she wanted to withdraw, fearing unfair attacks on her reputation, and wanting to avoid doing any damage to the CIA. She also reportedly said that she didn’t want to be “the next Ronny Jackson,” referring to Trump’s recent pick to lead the VA who withdrew amid allegations of professional misconduct. Concerned Haspel would follow through with her decision to step aside, senior Trump aides — including Legislative Affairs Director Marc Short and Press Secretary Sarah Huckabee Sanders — later “rushed” to meet with Haspel again at CIA headquarters on Friday to convince her to stick around. 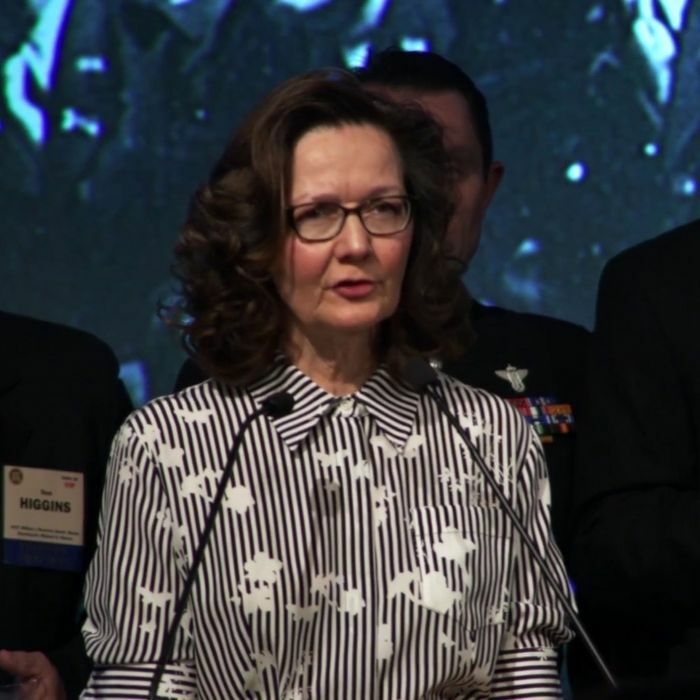 President Trump, who has repeatedly praised torture methods and falsely stated that it is an effective method of interrogation, also apparently pushed for Haspel to stay.